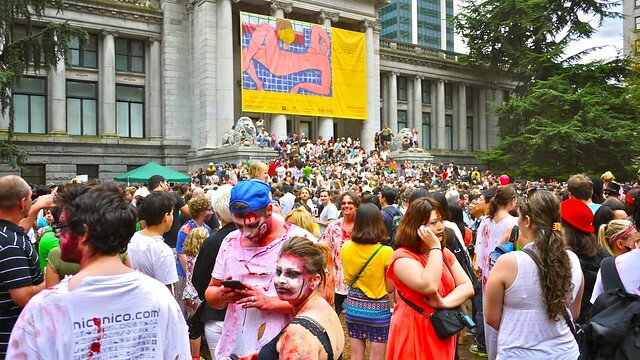 2012 Vancouver Zombiewalk in front of the Vancouver Art Gallery and heading down Robson Street on August 18, 2012. 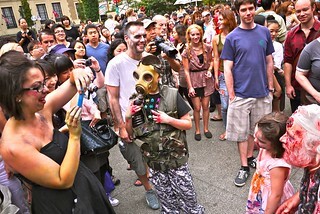 Zombies and non-zombies alike amassing on Saturday afternoon including the most adorable zombie Minnie Mouse (aka Chloe, above) ever. 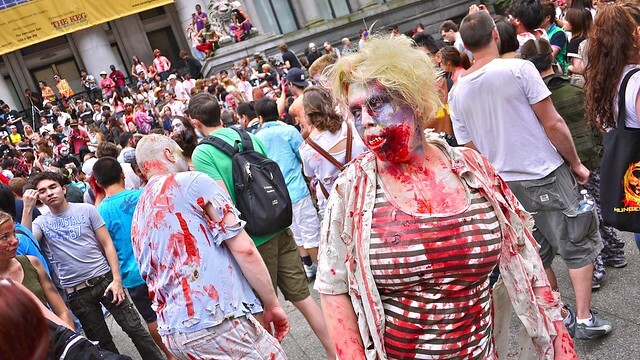 A sea of the living and undead congregating before marching off in search of brains. 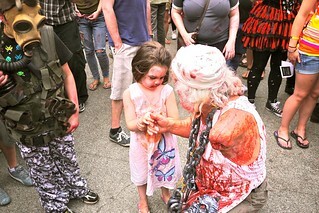 A zombie mom taking a picture of her toddler zombie daughter posing with a zombie amputee. Pretty cool. 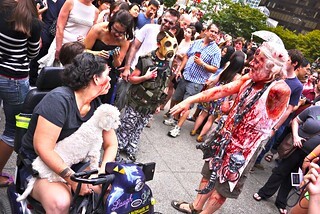 A pretty detailed, terrifying zombie glaring aimlessly with a crooked stance and bloody glow. Aww. 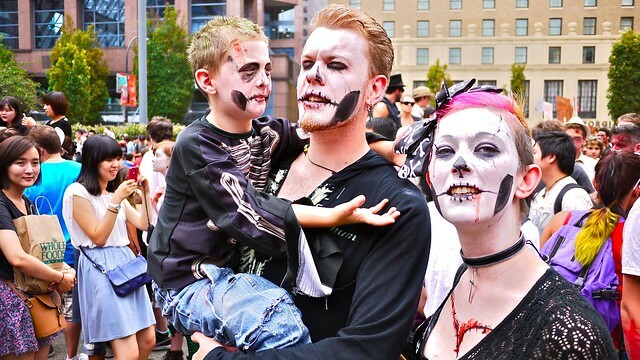 A family of zombies marching together and, therefore, staying together, I suppose. 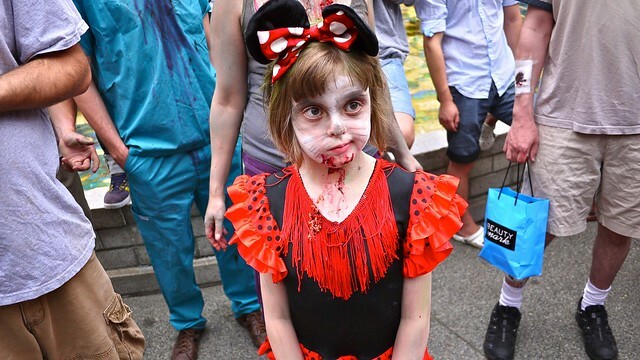 Enjoying some playful girls posing frightfully with some bloody, green zombies recreating a Japanese horror film. 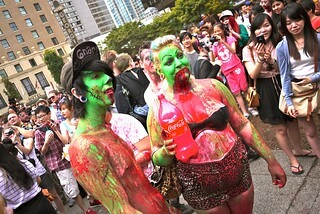 A little horrifying these green zombies (left) mentioning the fake blood they were drinking was (water soluble) paint. They didn't seem to care. 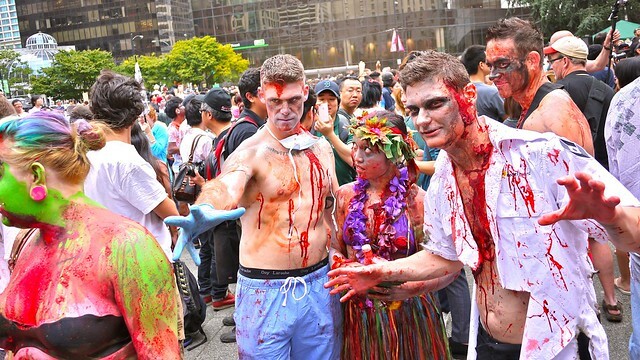 A zombie doctor, Hawaiian luau girl, and security guard among far too many non-zombies and rift raft standing around in the way of the undead and their search for brains. 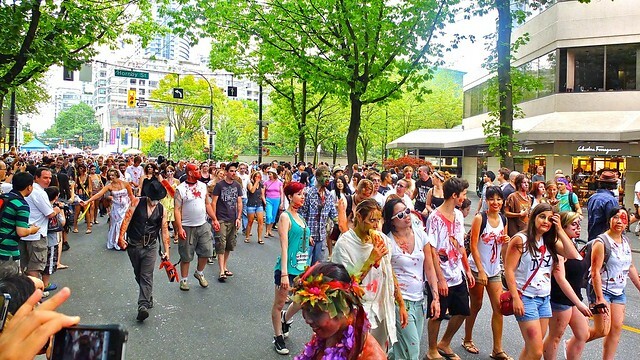 Everyone marching down Robson, causing traffic havoc for unassuming oncoming drivers and travellers.